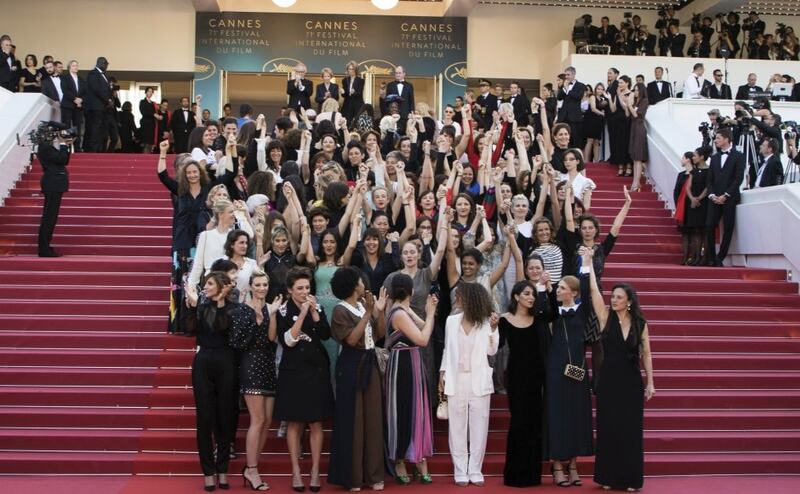 As 5050×2020 made note prior to the red carpet protest on May 13, only 82 films directed by women have competed for the Palme d'Or in Cannes' 71-year history. The Oscar-winning actress led the 82 actress, female producers and directors who marched arm in arm in the unprecedented protest on Friday, May 11 to demand equal pay and an end to sexual harassment. Cate Blanchett, Kristen Stewart, and Ava DuVernay were all present as Cannes Film Festival chiefs signed a charter pledging gender parity on Monday (14May18). Organizers said the event was orchestrated by the Time's Up movement and the French movement known as 5020×2020 to show "how hard it is still to climb the social and professional ladder" for women. 82 women including Blanchett who is president of the jury and Stewart took part in the protest to signify the 82 female directors (7 of whom were part of mixed gender teams) that have premiered at the festival since 1946 compared to 1,645 male directors. "Women are not a minority in the world, yet the current state of the industry says otherwise", she declared. Saying he would transform the movie festival, Thierry told the Associated Press: "We hope that Cannes will welcome these new initiatives". "We must question our history and our habits", the Cannes festival director added, calling on other global film festivals to follow suit. Fremaux, Directors' Fortnight artistic director Edouard Waintrop, and Critics' Week head Charles Tesson are said to be the first to sign the document, titled the Programming Pledge for Parity and Inclusion in Cinema Festivals. Blanchett shared the speech with Agnès Varda - one of the most celebrated French film directors in the industry who has spent decades using her platform and art to discuss feminist issues within society.